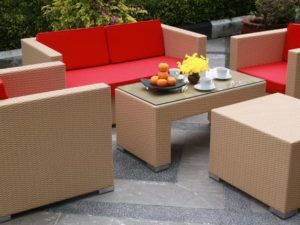 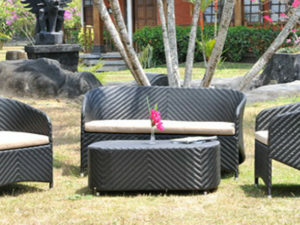 Chalta Living Set Set consists of several parts, viz. 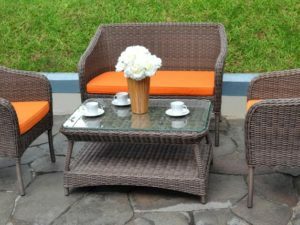 2 Chalta Living Set Arm Chair with Dimension 75 cm (h) x 82 cm (w) x 72 cm (d), 1 Chalta Living Set Love Seat 75 cm (h) x 142 cm (w) x 72 cm (d), 1 Chalta Living Set Coffe Table with glass 8mm standard 52 cm (h) x 80 cm (dia), 1 Chalta Living Set side Table with glass 8mm standard 52 cm (h) x 50 cm (dia) and 1 Chalta Living Set Stool 30 cm (h) x 65 cm (w) x 48 cm (d). 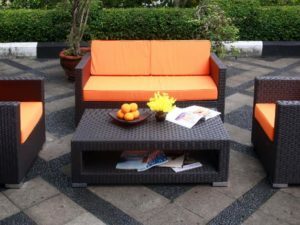 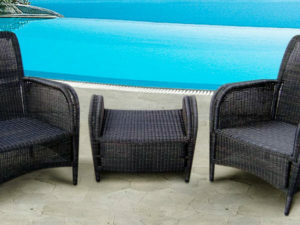 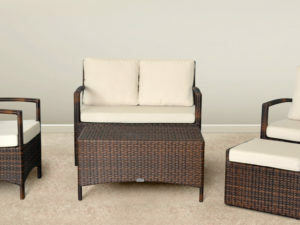 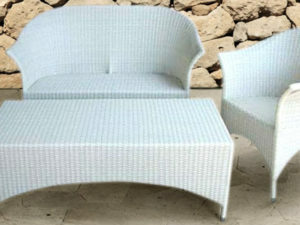 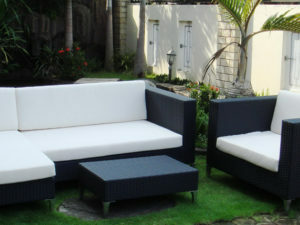 Chalta Living Set Set woven by synthetic rattan in attractive color of kubu Gray and Blue color in cushion.